Obituary for Sandy Joan O'Neill | In Memoriam Funeral Services Inc. 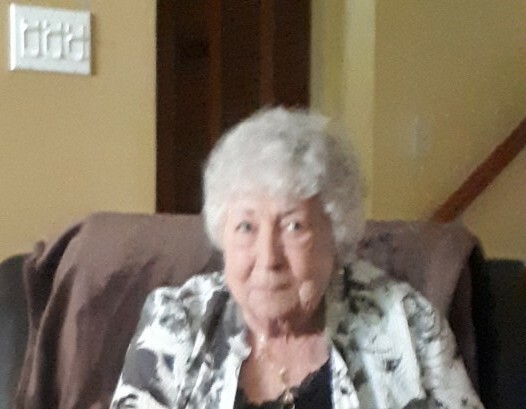 Unexpectedly passed away at Southlake Regional Health Centre, Newmarket on Tuesday April 2, 2019 at the age of 81. Cherished Wife of John – “Jack” O’Neill; loving Mother of Mike (Ailine), Alex (Marilyn), Jimmy (Helen) and Tracy (Dave); loved Grandmother of Jason (Crystal), Lori (Christian), Corey (Kim), Keri (Joe), Aaron, Amanda and Cassy; proud Great Grandmother of Connor, Luke, Aidan, Tyler, Emma, Alicia, Mya, Star, Skye and Emberley; predeceased by her parents James and Matilda (Marty) Timmins. Sandy was a special friend to many and her family was the most important thing to her – she always took care of us first. At Sandy’s request, cremation has taken place. A private family ceremony will take place at a later date. As expressions of sympathy, donations to the OSPCA, Orangeville would be appreciated by the family. Mom was a long-time supporter, her current Baby – Pinball was adopted from Orangeville branch. In Memoriam Funeral Services Inc. has been given the honour to serve the O’Neill Family.